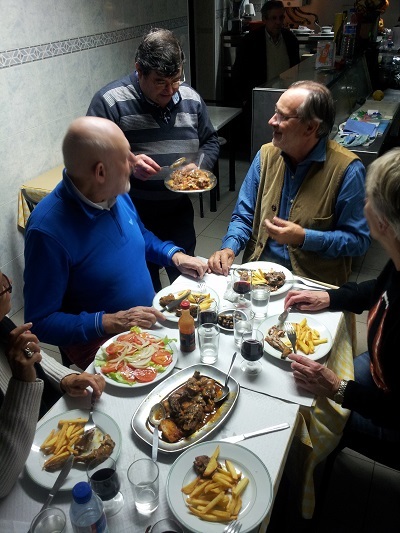 The Portuguese appreciate eating and drinking well. The influence of Portugal’s former colonial possessions is clear, especially in the wide variety of spices used, like piri piri (small, fiery chilli peppers), as well as cinnamon, vanilla and saffron. 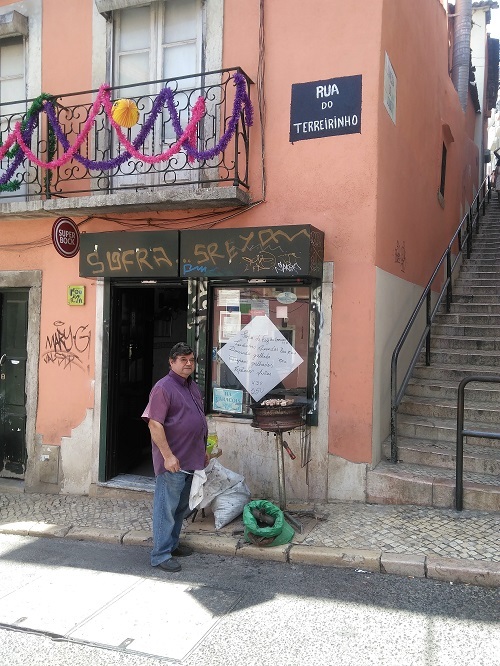 UPDATE March 30, 2019: due to eviction (despejos) after 34 years ( !!) this restaurant is closed. What a shame 🙁 🙁 FACEBOOK : stop despejos). 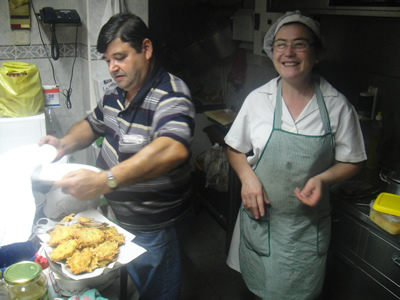 Pataniscas de Bacalhau & rice 7.50 euro (fried cod): delicious! 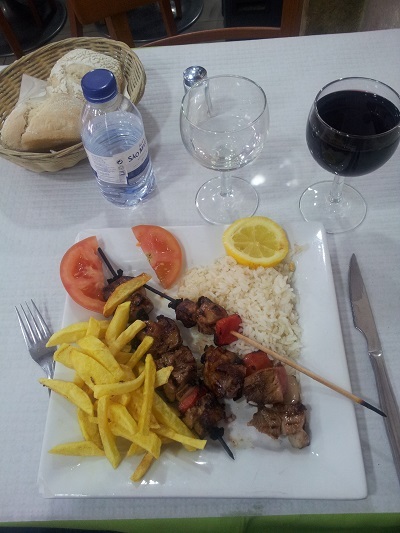 The Portuguese cuisine is rich, filling and full-flavoured. There’s also Arab and Moorish influences, especially in the south. 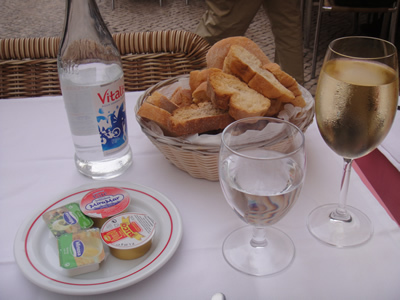 Traditionally just coffee and bread, often enjoyed in a cafe (pastelaria). 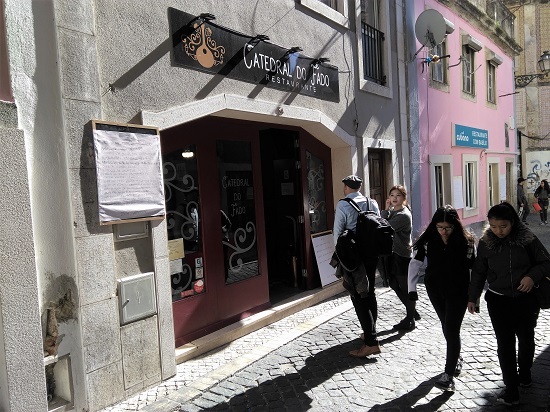 Recommended: toast (tosta mista) with ham & cheese (queijo e presunto), or delicious sweet pastries like pastéis de nata, real calorie bombs! Coffee: strong (bica) with milk (galão – garoto), tea (chá) with or without sugar (açúcar). The pastalerias are often a part of the social life in the neighbourhood. 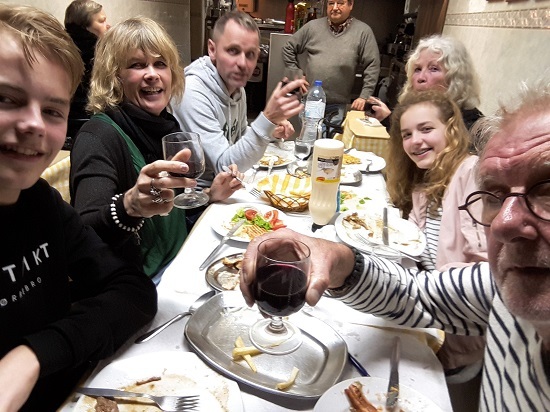 In this tiny restaurant in Mouraria you can enjoy a 3 course meal (starter, like cheese/ham, soup, main course, dessert, water, coffee and wine) for only about 9-10 euros pp. Not open on Sundays. If you prefer meat, and don’t feel like experimenting, try a ‘bitoque’. 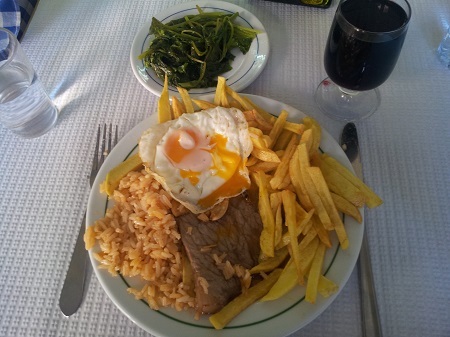 It’s steak and fries, with a fried egg, garlic and rice (ca. 7 euro). 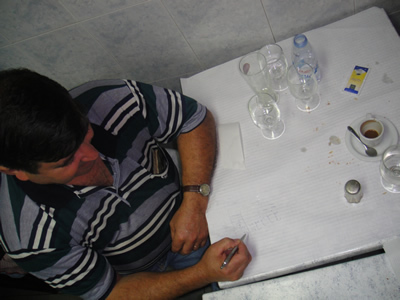 How to recognize cheap and really Portuguese restaurants? A little bit disorderly, but very clean; a big TV screen, people like watching TV while eating (a lot of football, futebol), TL-tubes on the ceiling and paper table-covers. 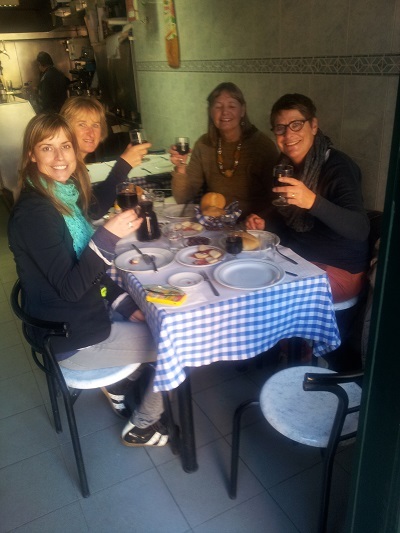 Prices (in Lisbon) between 8 and 15 euro (three courses and wine). 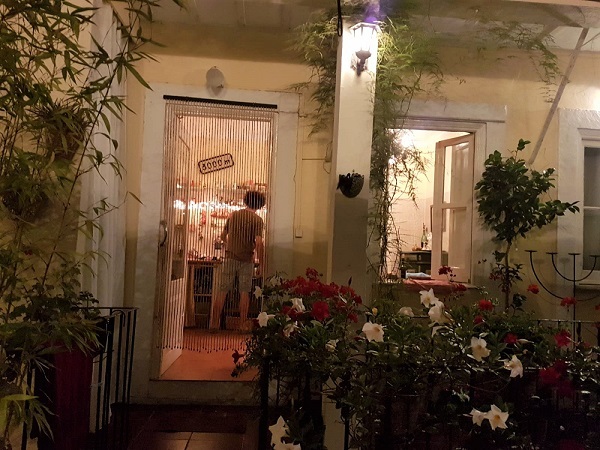 My apartment in the same street in area Mouraria (100 m2), 3 bedrooms & lovely patio (30 m2). Picture: Margaret Schöttelndreier. 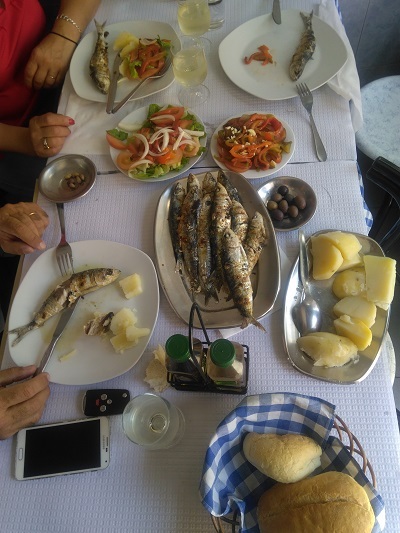 Be prepared: in the more expensive restaurants you have to pay for starters like bread, cheese and often olives or shrimps (camarao) (from 3 – 10 euro). Or, they ‘offer’ you a glass of portwine (and charge 4-7 euro on the bill). Tips are not usual in Portugal, but a few euro is ok. 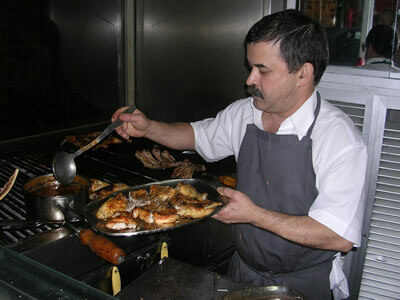 The espetada is a typical Portuguese dish made usually of large chunks of beeff rubbed in garlic and salt, skewered onto a bay leaf stick cooked over hot coals or wood chips. 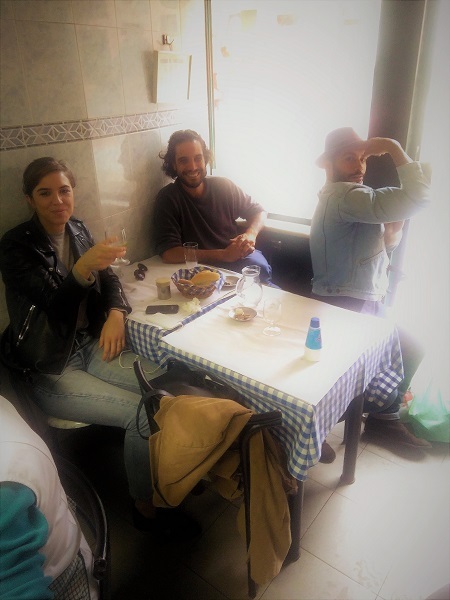 Like in all mediterranean countries lunch (almoçar), is a big affair for Portuguese, served between noon and 3 o’clock, often in a restaurant (and often paid by the employer). Usually three courses, including soup (sopa) like f.i. caldo verde (a soup of cabbage and potatoes). 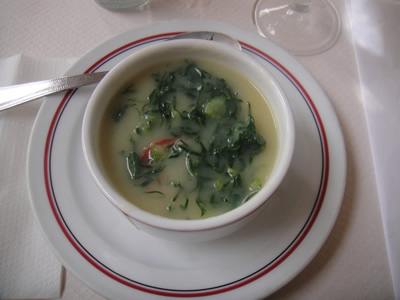 Caldo Verde, a popular soup of Portuguese and Brazilian cuisine. 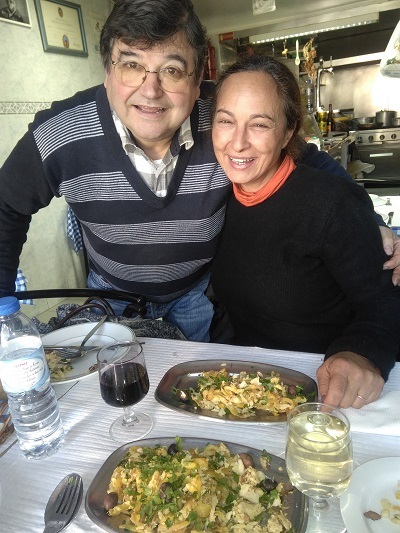 Fish, like codfish (bacalhau) or charcoal-grilled sardines (sardinhas assadas) or meat (rabbit and pork are very popular), Coelho a caçador (rabbitstew, in red wine), accompanied with a small bottle of red or white wine (uma garaffa de vinho branco ou tinto) or Vinho Verde (a young sparkling ‘green’ wine, low-alcohol). 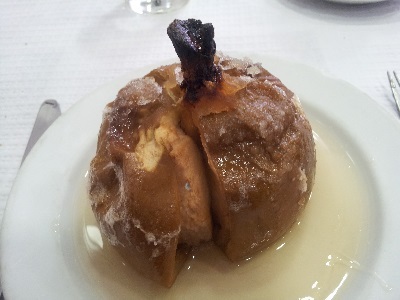 Desserts (sobremesas): crême brulée (pudim flan), chocolate mousse and a big variety of almond cakes (amêndoa). Toucinho do céu (bacon from heaven) or barriga de freiras, (nun’s bellies), recipes originally created by nuns in the 17th and 18th Century. Often cheese (queijo), from sheep or goat’s milk. 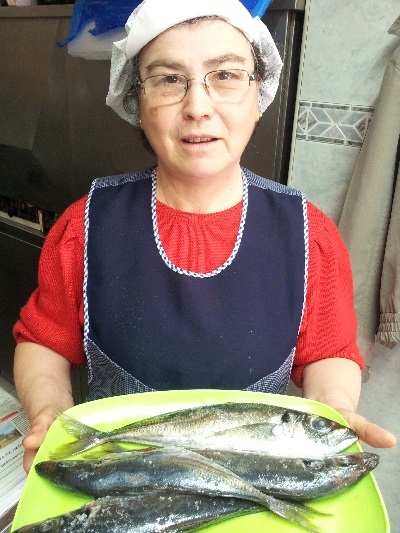 Very popular is ‘queijo da Serra” from the region of Serra da Estrela in the north. 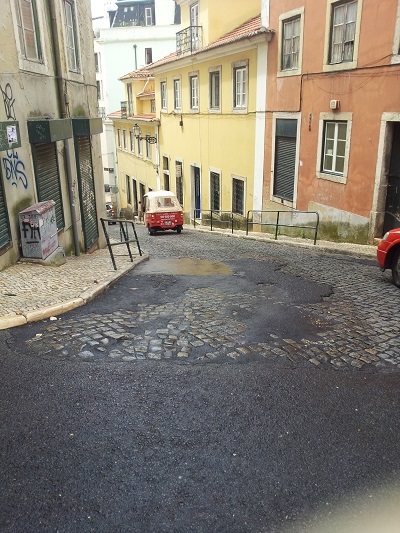 Mouraria, Rua do Terreirinho 58 Lisbon near starting point starting point legendary tram 28 at square Martim Moniz. 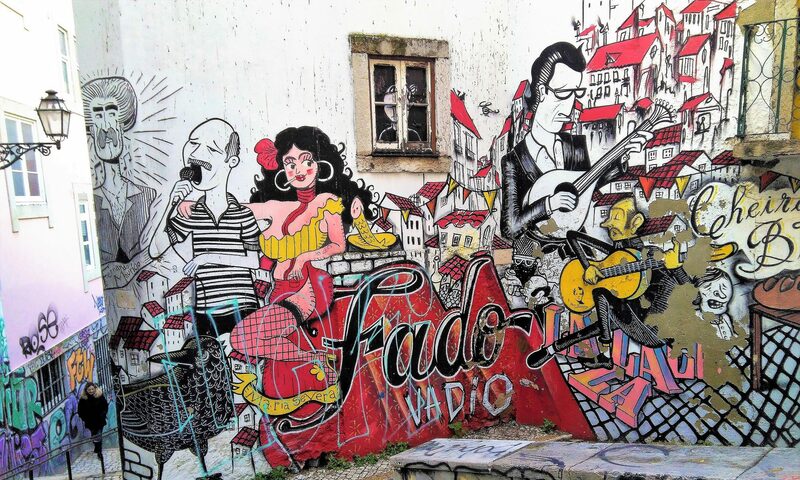 I just discovered this blog about my home, Lisbon, and I’m liking what I’ve read.